Begin Your Professional Expedition in Practical Nursing with Our Guided Approach! Our well-researched and comprehensive information on Top LPN schools, certification, salary, and job outlook of the Licensed Practical Nursing will help you in quick decision-making. We assist you in finding the best accredited LPN school in your area, provide you tips for qualifying the NCLEX-PN exam, and prepare you for the job interview. What is the Future of LPNs? How to Write LPN Cover Letter? How to Write LPN Resume? Why did you choose to become a LPN? What to Do on the Exam Day? How to Choose a Nursing School? Mere completion of graduation from an accredited LPN school will not realize your dream of becoming a Licensed Practical Nurse. You are supposed to acquire the license in the concerned state where you want to practice. Know what requirements you have to fulfill and what procedure you need to follow to get your LPN license. Salary is the main concern which is kept in mind while choosing any career. 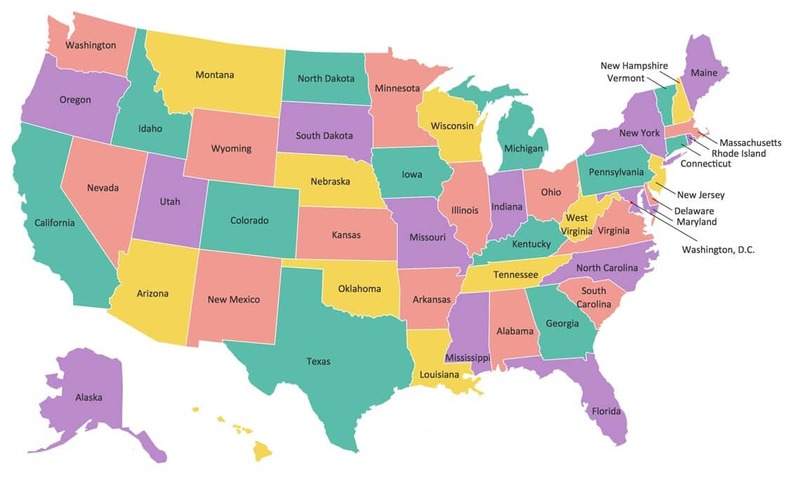 Here, we provide you detailed information on LPN salary in different states of the US. You can also make comparison of salary in different cities of a state. Once you have made up your mind to get into the healthcare field as a nurse, it is never easy to choose which course to pursue? At times, a four-year Registered Nurse or BSN degree seems a better choice because of the comparatively higher number of the employment opportunities. However, it is not an option for many nursing aspirants due to sky-high tuition rates, a completion period of four years, and other expenses. How about choosing another option, i.e., LPN, which is more manageable, less time-consuming, and still gives you freedom to opt for a job or higher studies? It costs significantly lesser than an RN course and gets completed in just 12 to 18 months. The questions that may click in your mind are- Is it wise to choose to be an LPN? Are they still in demand? Yes, they are. Even the statistics of the BLS shows that there will be a significant hike in the jobs of licensed practical nurses by the year 2024. After a detailed analysis of the government data and speculations from several trusted sources, we have figure out the following factors that indicate why it is a great choice to become an LPN. As per the reports of the US News (as of March 2012), 75 million people were at the age of retirement. Around 10,000 people will turn 65 each day in the next 20 years. From this data, it is clear that the demand for licensed practical nurses will increase manifold, to take care of the baby boomers. If you take a close look at the current nursing workforce in the health care industry, you will find out that a large portion of LPNs is over the age of 40 or 50. They are continuously reaching the age of retirement. And with that, a good number of job vacancies are going to be opened for freshers. So, just buckle up and stay ready. As per the statistics of the Bureau of Labor Statistics, a significant employment rise of 16% is expected for the LPNs by the year 2024 as they will be crucially required in various long-term settings and home health care facilities. The length of an LPN program may range from one to two years and after completion of the coursework, you may appear for the NCLEX-PN examination. You can join the workforce as soon as you clear the exam and obtain the license. However, joining a job after the course is certainly not the end of the world. After gaining some work experience, you can go for the LPN-to-RN bridge program to enhance your knowledge and avail better job opportunities. Many LPN programs provide flexible timings and online LPN classes that come in handy for the students who have a part-time job. Thus, they can continue their studies without quitting their job and ignoring other commitments. Being a licensed practical nurse, you get lucrative salary as well as other perks. According to the Bureau of Labor Statistics, the median annual salary of the Practical Nurses was $43,170, whereas the hourly wage was $20.76 (as of May 2015). You can get a hefty paycheck if you advance your career as an RN.